Dino Milisse is Director of the National Geology Museum of Mozambique. After graduating in geology at the University Eduardo Mondlane, he was Head of the Applied Geology Department of the National Direction of Geology and then Provincial Director of Mineral Resources and Energy of the Inhambane Province until he moved to the National Geology Museum. He has extensive cartography experience and was co-author and coordinator of various geological-environmental maps of Mozambique. Ricardo Araújo is a paleontologist and co-founder of the original PalNiassa project and is now the Principal Investigator of the PaleoMoz Project. He did a PhD at the Southern Methodist University (USA) on Angolan plesiosaurs and sauropterygian functional morphology under a Fulbright Scholarship. He's currently a researcher at the University of Lisbon (Portugal). Ricardo led several PalNiassa expeditions and supervised/trained the Mozambican students. He also designed the Paleontology Laboratory and monitored its construction and setting up phases. Estela Cuambe is Financial Manager at the National Museum of Geology (Maputo). Estela's outstanding work with the finances and logistics of the project is invaluable. Nelson Nhamutole is currently head of the Laboratory of Paleontology of the National Geology Museum. After completing his Geology degree at the Eduardo Mondlane University (Maputo), Nelson spent two years in Portugal attending a post-graduate course in Vertebrate Paleontology. He began participating in the PalNiassa expeditions in 2012 and has since joined the National Geology Museum. Nelson is currently tackling the paleobotany front of the PaleoMoz Project. Rui Martins is an auxiliary researcher at Instituto Superior Técnico (Portugal) and a specialist in synchrotron radiation-based techniques. He collaborates actively with the Lourinhã Museum (Portugal) and the National Museum of Geology for applying synchrotron scanning techniques to the study of unique fossil specimens. Zanildo Macungo defended his Bachelor’s thesis at the Eduardo Mondlane University in 2016. He is currently the Lead Preparator at the Paleontology Laboratory of Mozambique. Zanildo is currently receiving advanced training to become a paleontologist at the National Museum of Geology. He is now enrolled as a Master’s student at the University of Witwatersand. Patrícia Pinheiro is the PaleoMoz Project Manager at the Instituto de Plasmas e Fusão Nuclear. Patrícia’s work is crucial to make things happen as she helps with multiple administrative tasks, budgets and missions. She has already experience on collaborative projects in Africa which is paramount. Filipa Ferrão is the Project Coordinator at the Instituto Plasmas e Fusão Nuclear and her valuable help is assisting us with project management tasks, grant writing and applications, and budget administration. Steve Tolan is highly skillful with geographical information system software and can plan successful recces efficiently. He is joining fossil expeditions all over sub-Saharan Africa and his valuable experience led to successful findings. Ken Angielczyk is Associate Curator of Paleomammalogy at the Field Museum of Natural History. His research focuses on the paleobiology and paleoecology of non-mammalian synapsids, especially dicynodont therapsids, and causes and effects of the Permo-Triassic extinction in terrestrial ecosystems. 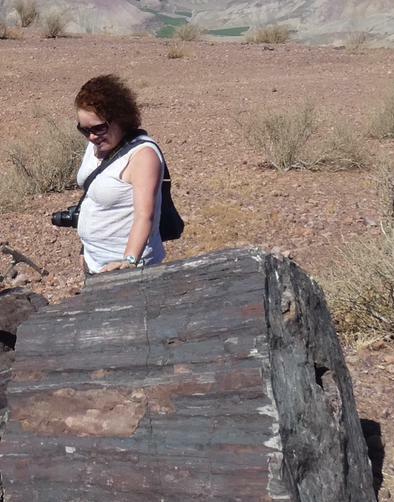 Marion Bamford is a paleobotanist specialized in the Karoo. She works especially with fossil tree woods and fossil forest ecosystems. Marion is currently the Director of the Evolutionary Studies Institute at the Witwatersrand University in Johannesburg (South Africa). Roger Smith is Distinguished Professor in the School of Geosciences in University of the Witwatersrand and Honorary Research Associate at Iziko South African Museum in Cape Town. 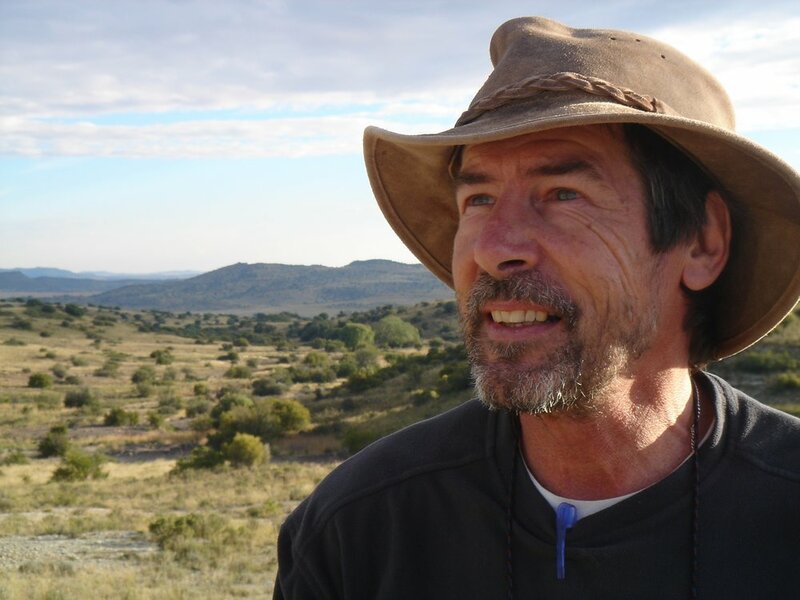 Roger’s research is field-based and integrates palaeontological and sedimentological data into palaeoenvironmental reconstructions of ancient landscapes- especially concerning the dramatic changes that took place in the Karoo Basin during the End-Permian mass extinction event. João Mugabe is a Professor at the Eduardo Mondlane University. He collaborates with the PaleoMoz project since the early times and has co-supervised students. Sterling Nesbitt is a specialist on basal dinosaurs and archosaurs. Nesbitt has participated in various paleontological expeditions in Africa and has made spectacular discoveries as a result. Nesbitt research group at Virginia Tech centers on the evolution of vertebrates, particularly reptiles. Jim Crowley is a research scientist at Boise State University. His specialty is dating sedimentary rocks through tiny zircon minerals that are deposited while these rocks are formed. His research focus is on the Permo-Triassic boundary, when ~95% of life on Earth wen extinct. There are rocks that record that event in Mozambique. Jim also develops these geochronology techniques to allow ever more precise dates. Issaia Macaneta is the skillful driver that takes us through Mozambique. His experience and mechanics knowledge have saved us a lot of time and hassle through the expeditions. Ivânia Loide successfully defended here Bachelor’s thesis this past October. She is moving forward academically for new paleontological adventures. She is the first woman to graduate with a scientific project in Paleontology from Mozambique. Marisa Amaral is applying the first fossil vertebrate histology techniques in Mozambique. She is a National Geographic grantee and is training to become a skillful researcher. Sarita Guluja is finishing her undergraduate studies at Universidade Pedagógica (Beira). She is finishing her bachelor’s thesis on fossil preparation and taxonomic analysis of various specimens from the Niassa Province. Sheila Zunguza is finishing her bachelor’s thesis at the Museu Nacional de Geologia (Mozambique). She has been focused on a statistical analysis of the Endothiodon population from the Niassa Province. Sheila also worked on a heavy sand extraction geological company in Mozambique. Salimo Murrula started his paleontological work after joining the PalNiassa expedition in 2010. He received training as a fossil preparator in Portugal and was then accepted at the University of Minho (Portugal) for an undergraduate degree, which he completed in June 2016. Salimo participated in various field expeditions and prepared many unique specimens that are currently being studied. He is currently part of the staff at the Provincial Direction of Mineral Resources in Niassa. Albano Nhassengo is a Geology graduate from Eduardo Mondlane University. He did his research thesis on dycinodont specimens collected in the Niassa supervised by PalNiassa paleontologists. Albano is currently receiving training to become a fossil preparator at the Laboratory of Paleontology of the National Museum of Geology. Rui Castanhinha was a co-founder of the PalNiassa Project. He studied at the IGC (Portugal). He participated in the first PalNiassa field campaigns and helped co-supervise the first students. Luís Costa Júnior was co-founder of the PalNiassa Project. He was Director of the National Museum of Geology when the project was launched and until he passed away in 2015. His enthusiasm and dedication for the preservation of the Mozambican geological heritage was instrumental for the success of PalNiassa and for the reorganisation of the National Museum of Geology and its fossil collection. He was also responsible for the largest geological survey in Mozambique and a great supporter of the Mozambican scientific development. Norcésio Francisco was a National Geographic grantee. He learnt how to prepare fossils, learnt photography and processed hundreds of photographs to make publication-quality figure plates.